It’s been ages since I made a cocktail on the blog . . . WTF is going on?!! It’s not like I’ve been taking a break from drinking – far from it! 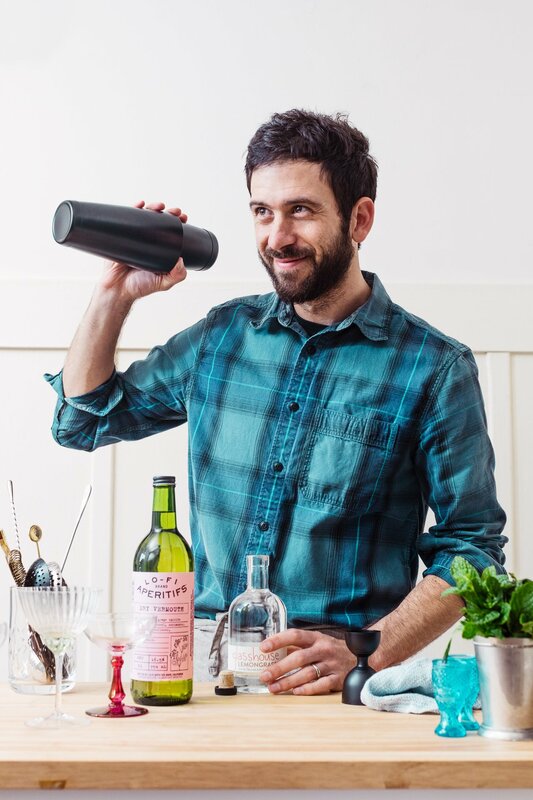 In fact, I was recently on a Berkeley bar crawl, and had the pleasure of sipping one of the tastiest, most refreshing libations I’ve enjoyed in quite some time: the Yerba Buena, created by the talented Daniel Sheel of Tupper & Reed. You see, this particular bar crawl was all about featuring low ABV drinks; sometimes called inverted cocktails. Naturally, these low ABV (alcohol by volume) cocktails highlight an ingredient that is, you guessed it, lower in alcohol! On this occasion we were enjoying a lovely afternoon of Lo-Fi Apertifs. After a few rounds at East Bay Spice Company, we walked our way down to Tupper and Reed, where Daniel was waiting for us behind the bar. He quickly whipped us up three unique inverted cocktails, one of which was the aforementioned, Yerba Buena. I love this drink so much, because it’s so light and refreshing, while at the same time being incredibly complex, thanks to the Lo-Fi dry vermouth and the Oakland Spirits Co lemongrass brandy. I highly recommend grabbing a bottle of each if you ever get the chance! 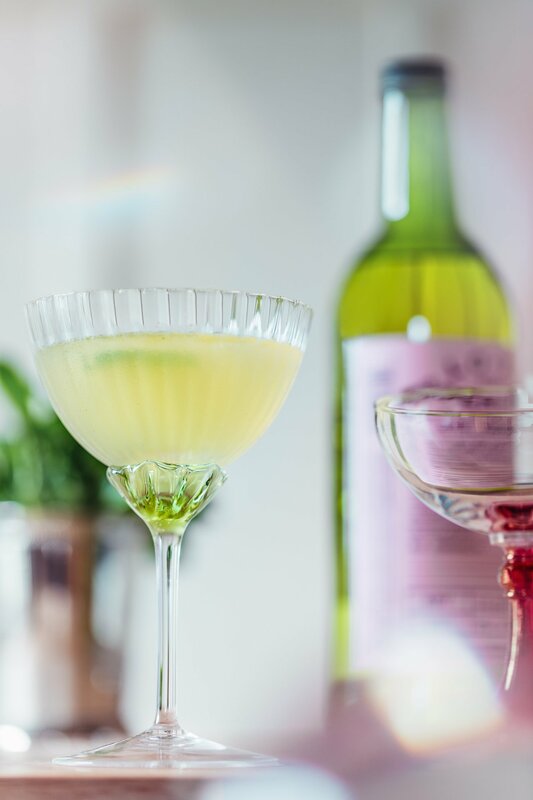 This Low ABV (alcohol by volume) cocktail featuring Lo-Fi Aperitifs' Dry Vermouth makes for easy sipping all day long. Combine all ingredients into a shaker (save one mint leaf for garnish), fill with ice, and hard shake for about 10 seconds. 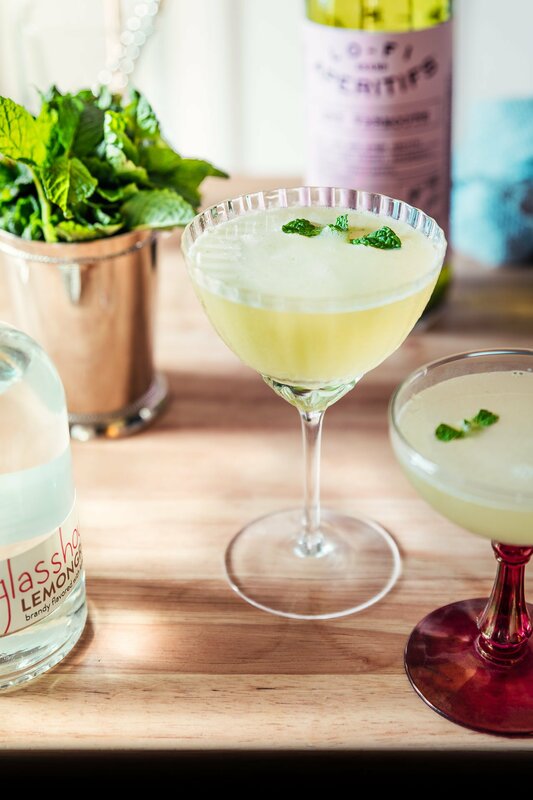 Double strain into a chilled coupe, and garnish with a pressed mint leaf. Looks delicious, we will try. Now that I’m mulling retirement and day-drinking may become “a thing” in my life, perhaps an ABV type drink is just the ticket. And this one in particular? Yessiree! Looks delicious!! Yes!! You really gotta try it. You would love it! YUM!!! And I LOVE the pic of you Todd!!! Brilliant craft, skill, and shots as always. I wish I could get something this good, even when I’m paying top dollar at these supposedly fancy high end craft cocktail enthusiast bars. Yum! I love vermouth and low ABV cocktails!